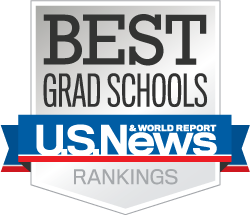 The Ohio State University College of Social Work’s graduate program is celebrating another milestone as it climbs in the U.S. News & World Report’s rankings of America’s Best Graduate Schools. In the 2020 rankings, the college advanced to 6th among public universities and 13th overall among the 268 graduate social work programs in the United States. Last year, the college ranked 7th and 15th respectively. In 2016, the college marked its first appearance in the top 10 among publics and in the top 20 overall, ranking 9th and 17th, respectively. Rankings are determined from an annual survey of all graduate programs. The newly announced ranking landmark is especially significant as the college celebrates its 100th year anniversary. This entry was posted in News & Events on March 12, 2019 by admin.